Still stuck for a stocking filler for the cyclist in your life? Why not try one of the three cycling books reviewed here? 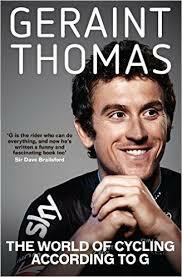 First up is “The World of Cycling According to G” by Geraint Thomas. 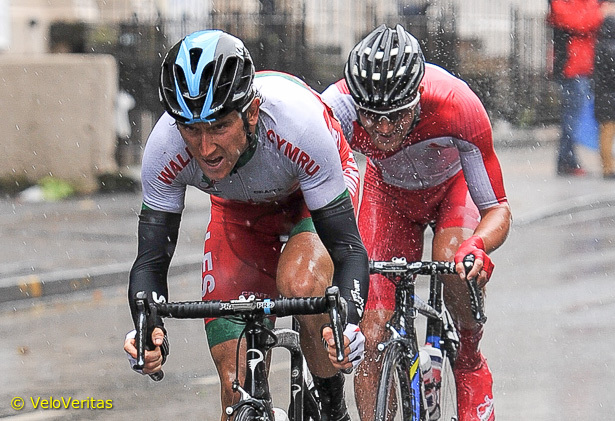 Who doesn’t think Geraint Thomas is a true hero? 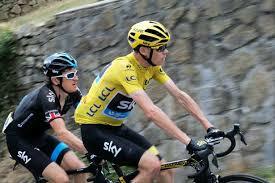 This is the guy who worked tirelessly for Chris Froome in the 2015 Tour de France. Who destroyed the field at the 2014 Commonwealth Games in Glasgow in lashing rain, and then survived a late puncture to take gold. The rider who is so well known that he can be referred to by a single letter. Not even Ronaldo has achieved that! The races are all in here, but the book is not structured like a traditional biography. Instead of a chronological history of the rider, it is Thomas’ take on a variety of subjects, with a pro rider’s twist. The style is entertaining and easy to read, just as you would expect fromTeam Sky’s most popular rider. But there is no great depth. No life changing insights. I got my copy on offer in Tesco, and that probably sums up this book – fun, populist and a bit frothy. 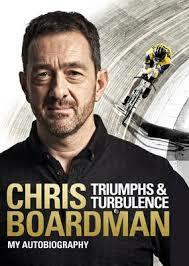 Our second selection is “Chris Boardman – Triumphs and Turbulence”. Many older members of the club will remember Boardman’s visits to Ards for our Champion of Champions time trial in the early ’90s (see the previous story). His approach, even as a rising amateur, was more professional than most pros at the time, and he had an obsessive attention to detail. There was plenty to admire in this serious young rider. 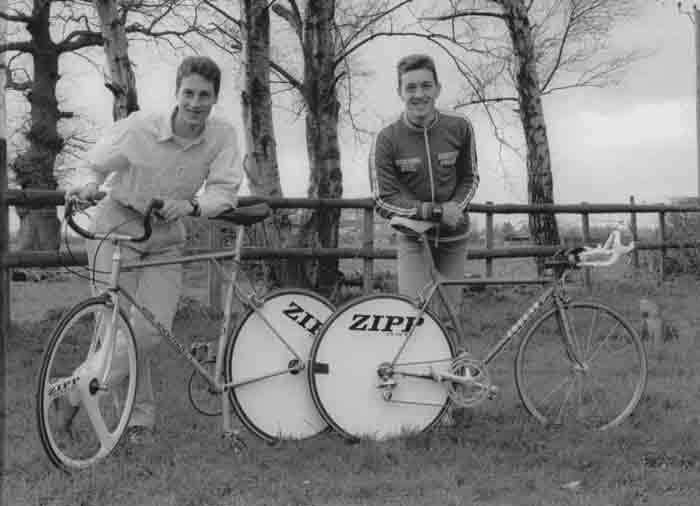 But it was his flamboyant rival Graeme Obree that we loved for his eccentricity and anti-establishment approach. And that probably sums up Boardman’s racing career – amazing performances, widely admired, but never really a hero.. 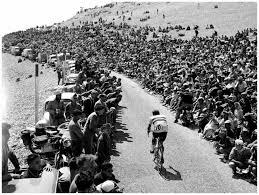 He ushered in a new level of professionalism to the pro bunch, to the dismay of many of his rivals, and reaped the rewards. But there is a lot more to Boardman than this, and it is the second half of the book, covering his life since retiring from racing, that really sucked me in. You could say that Boardman has had three more careers – as a cycling commentator on TV, as chief “secret squirrel” for British Cycling, and as a bicycle manufacturer. His obsessive attention to detail is still apparent in all these ventures, but Boardman emerges as a much more interesting, well-rounded, self aware and – dare I say it – likeable character. His dry wit during Tour de France commentaries has won him legions of fans. His bikes were carrying riders to Olympic medals within a year of launch. And his concern for how his behaviour affects his family is open and honest. I found this book in Tesco as well, but there is much more depth here to hold your interest, and to learn from. It’s number 2 in our list. 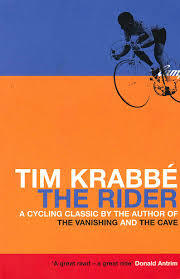 But the top slot is reserved for “The Rider” by Dutch journalist Tim Krabbe. This was originally published in the Netherlands in 1978, but was translated into English by Sam Garrett in 2002 and is recently back in print. It recounts Krabbe’s experiences in a single, one day amateur race in the east of France. Anyone who has ever ridden a road race will identify with him – the nerves, the anticipation, worries about early attacks, the race blowing to pieces on the climbs, and the unlikely alliances that form between rivals. It’s all here. “If ever there was a Rider of the Apocalypse, it was Gaul. 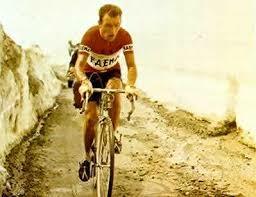 When we last saw him, an ambulance had just dropped him at his hotel after a time trial up the Ventoux in 1958. He had pushed himself hard, because it was hot that day and he hated the heat. The next day of that Tour he lost twelve minutes; the day after that a few more, because it was still hot. Gaul was more than fifteen minutes behind the yellow jersey, he was done for. Then came the twenty-first stage, through the Alps. Hail, black skies, storms, the end of the world from morning to night. And in the Alps in the snow.. In 20 years, Thomas may have matured like Boardman, and tell us about the “whys” and “hows” of his career as well as the “whats” and “whens”. Boardman may have developed his journalistic skills, and branched out into fiction. But for now, in the eyes of this reviewer, “The Rider” is this year’s Christmas Number One. For more reviews, click here. If there is anything you’d like to see reviewed, let us know.